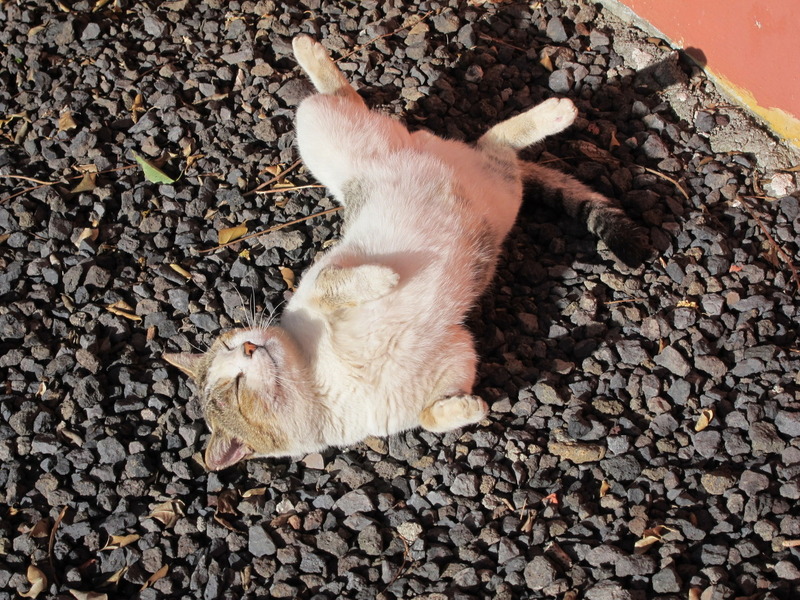 In March 2013 we visited La Palma for the first time. 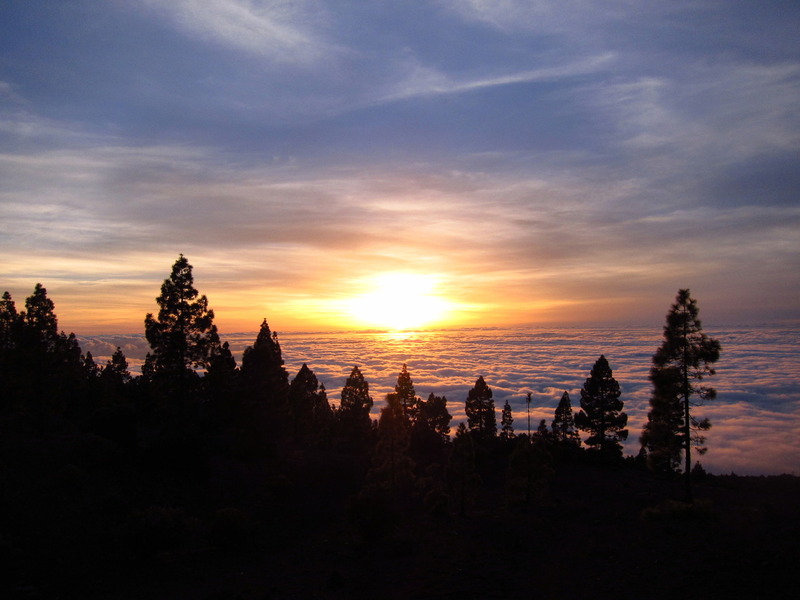 La Palma - also called La Isla Bonita - is one of the smaller Canary Islands. Before we have only been on Gran Canaria and we were surprised to see how different these two islands are even if they are quite close to each other. 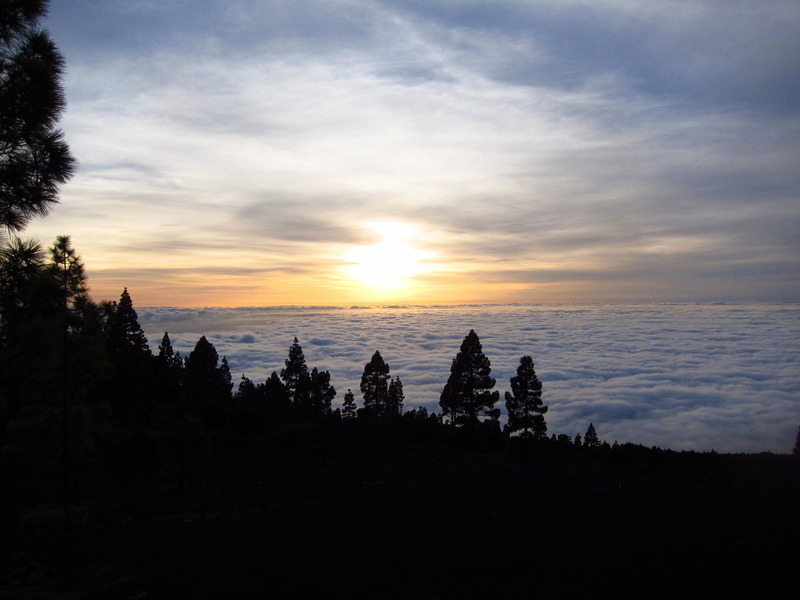 The initial idea to visit La Palma came because we read on the Internet about the telescopes on La Palma and that it is said to be one of the places with the clearest sky. Having our own telescope at home and doing astrophotography with it (here are some pictures) we also wanted to a have a telescope while being on the island. 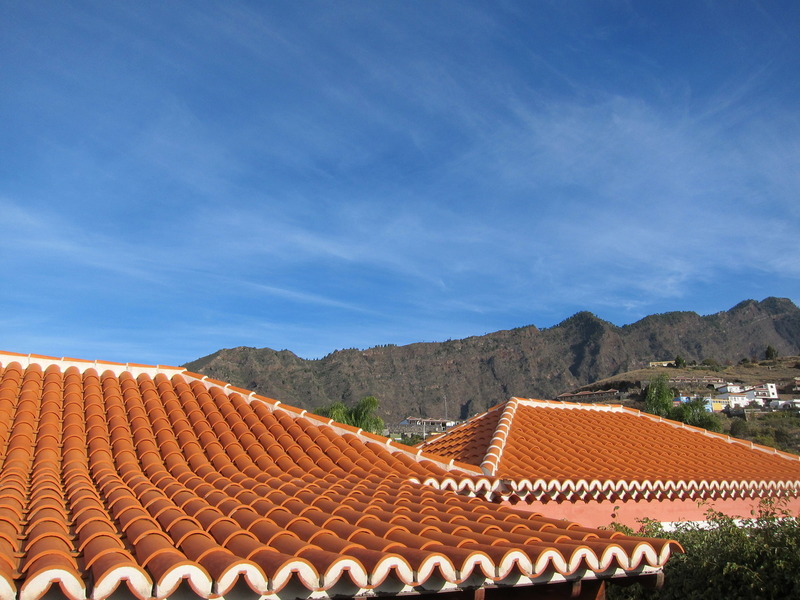 We stayed at a nice bungalow in Los Llanos de Aridana. The bungalow was on top of a hill and only a few meters away from the entrance to the Caldera de Taburiente national park. 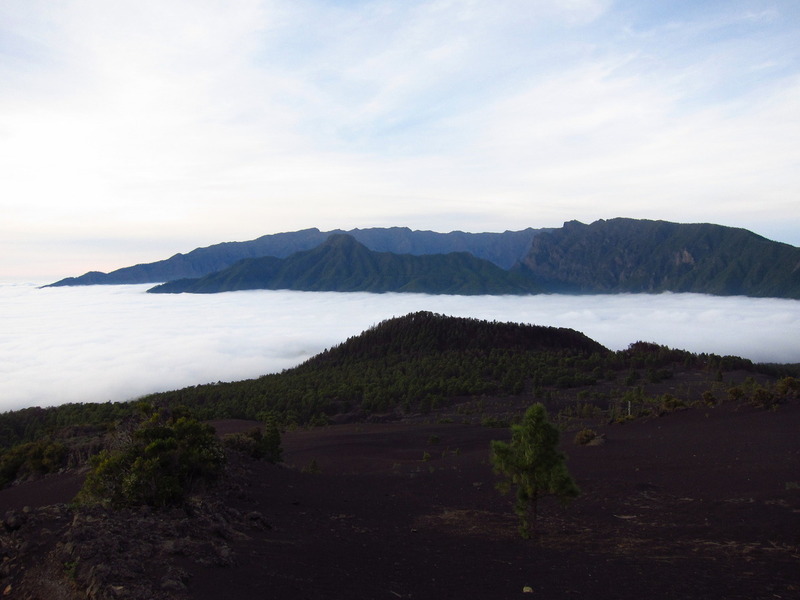 La Palma is said to be the steepest island on earth and when you have been there you will know what that means! Driving around by car means driving one turn after another - the only part that goes straight is a tunnel. 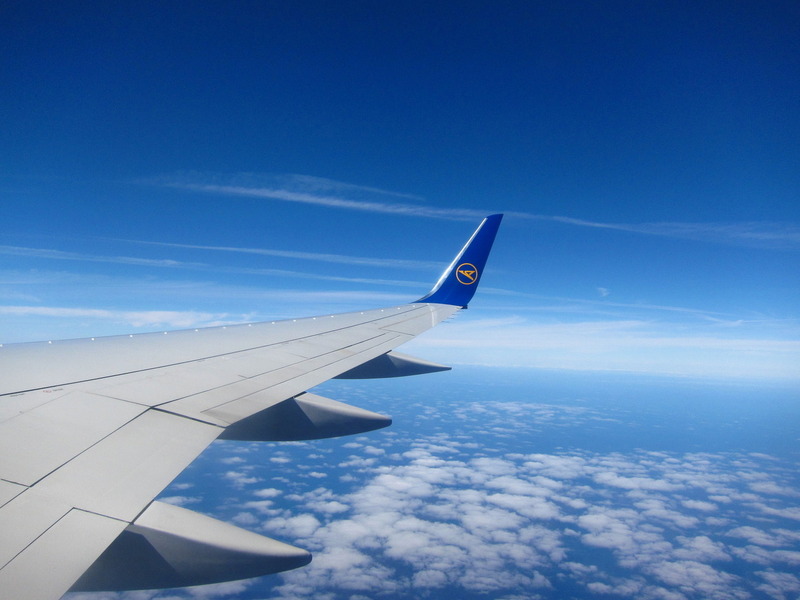 Not so good for people who suffer from travel sickness. 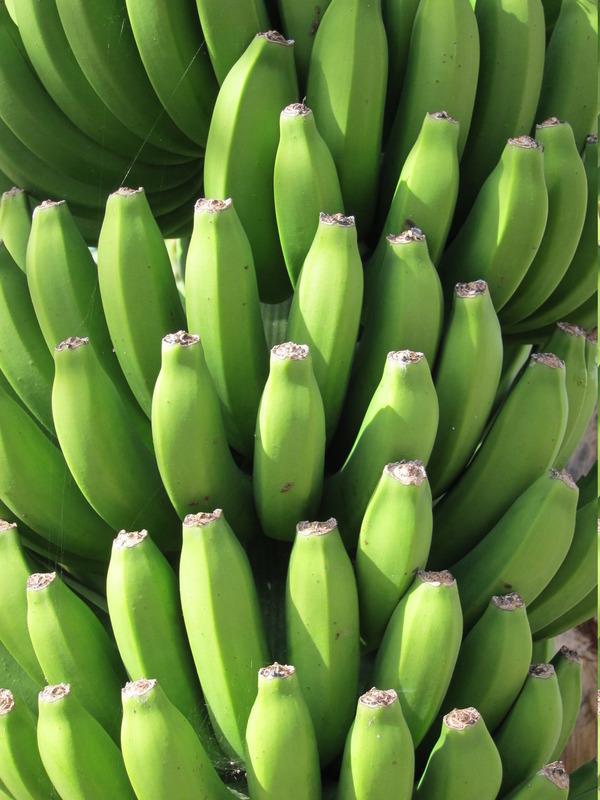 And La Palma is also the island of the bananas! 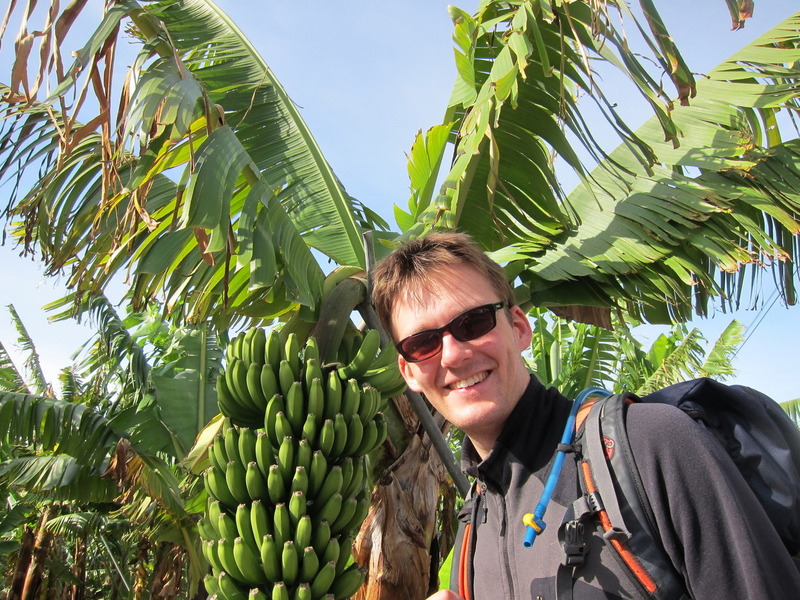 We have never seen so many banana trees before. 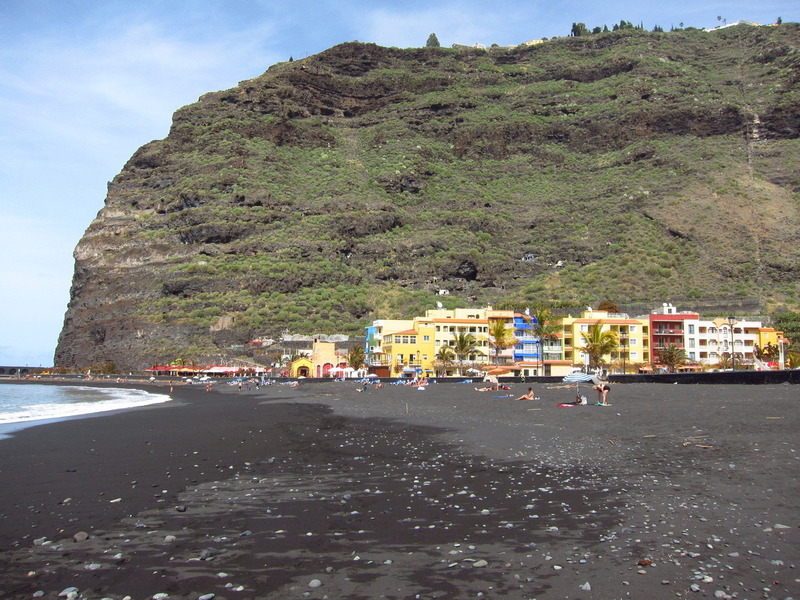 Puerto de Tazacorte: if you know only yellow sandy beaches then this one is different! 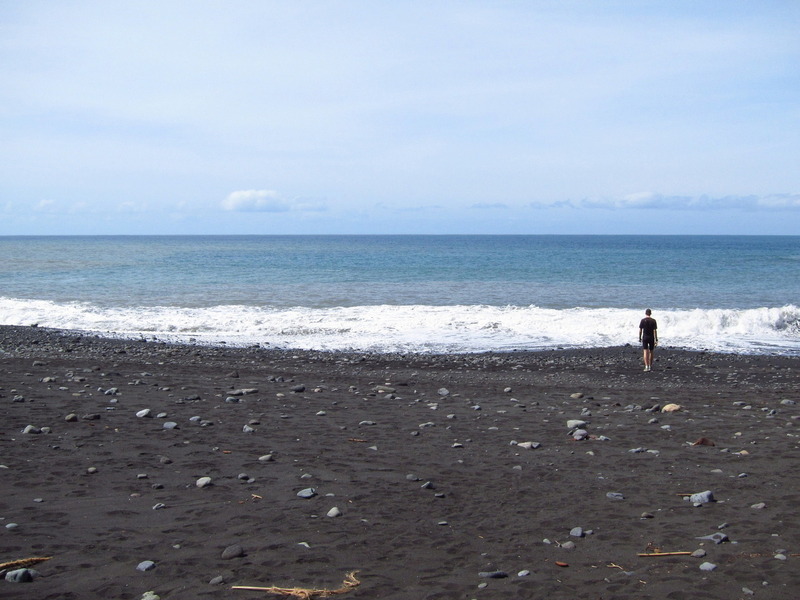 the beach is made of lava sand and next to the beach a path leads up 600m to the Mirador El Time a nice viewpoint. Puerto de Tazacorte also has nice coloured houses and many restaurant at the beach. And besides that Puerto de Tazacorte is said to be the place with the most hours of sunshine in Europe - that's a good reason to spend some time there! 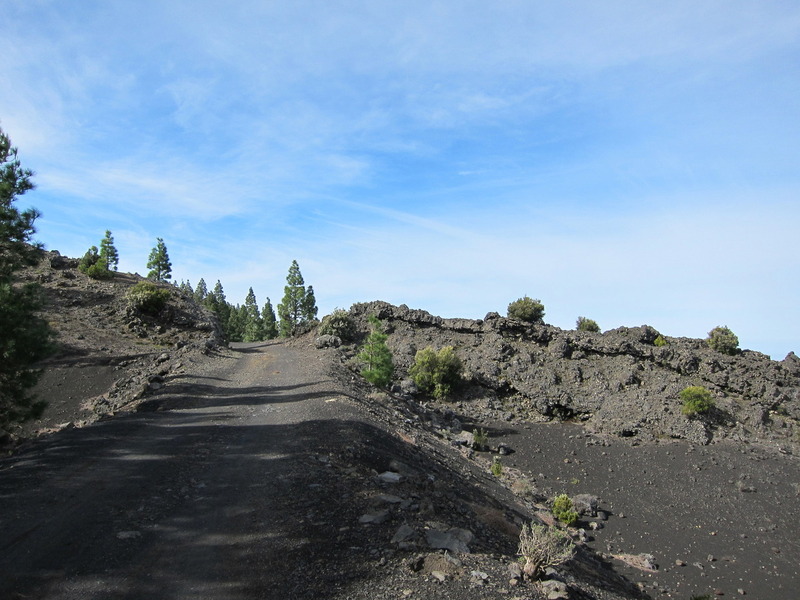 Hiking the Ruta de Los Volcanes: You start in El Pilar and then walk down to the South of the island. 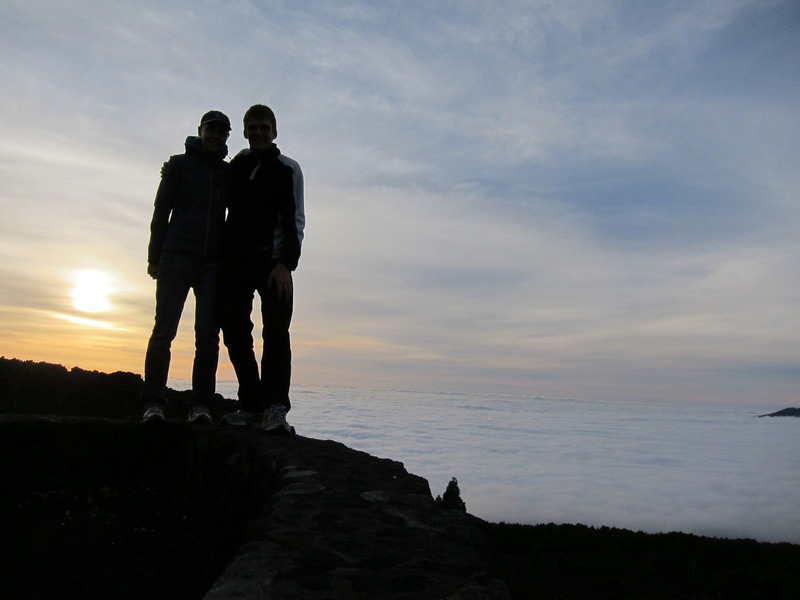 During this walk you pass one volcano after the other - the view is just amazing! 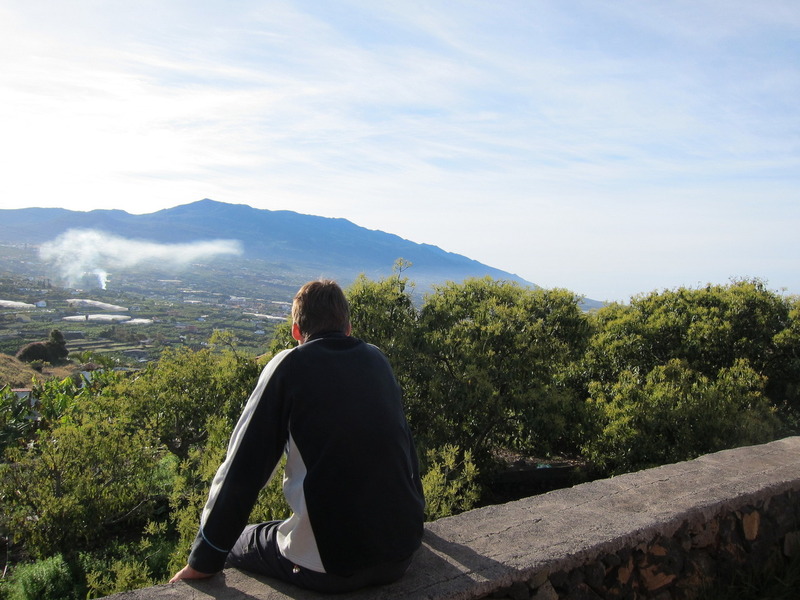 You can see Tenerife, El Hierro and La Gomera and the ocean! 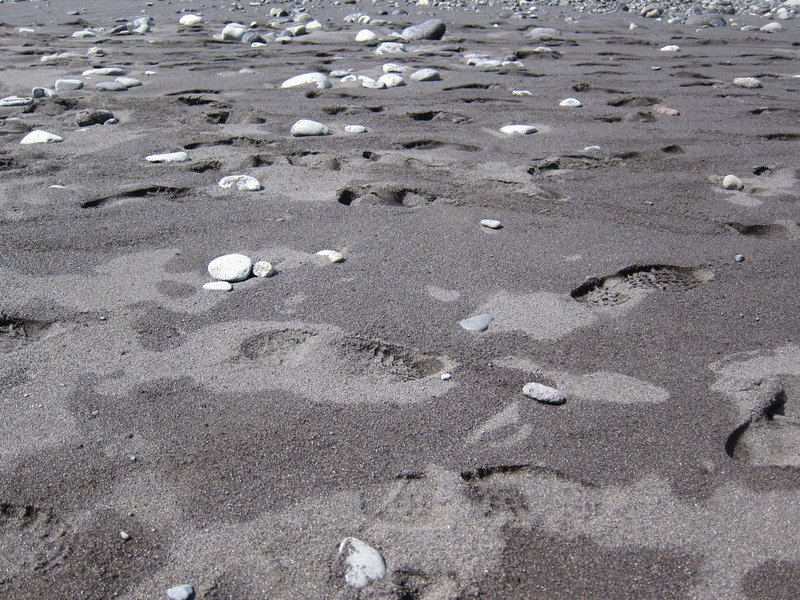 Don't forget to wear hiking boots and take warm clothes as it can be a bit windy up there! 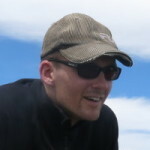 Cycling from Los Llanos to the South: We started in Los Llanos and took the road up to Jedey. From there we take a hiking path up until we are right below the volcanos. We follow a nice trail up to Los Canarios in the South! 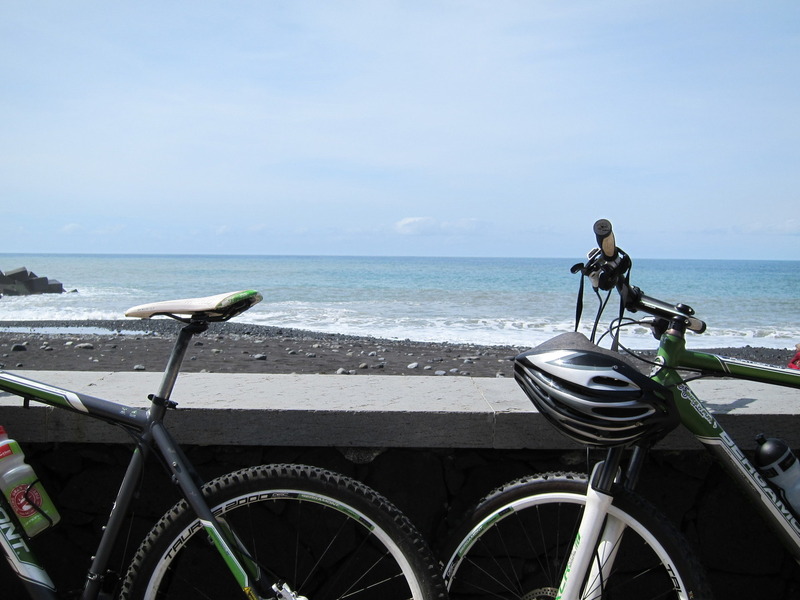 The trail consists of volcano sand so cycling is not so easy. Nevertheless it is really worth it! You see so many different aspects of the landscape - huge fields of lava rocks, trees, ocean, islands, volcanos, ... When you reach Los Canarios in the South you can also visit volcano San Antonio and Teneguia - which had the latest eruption in 1971! You can also drive further down up to the light house. We cycled back the road where it takes only about 1.5 hours to go back to Los Llanos. 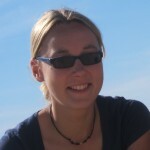 Visiting the ORM (Observatory Roque Muchachos): You have to apply for a visit on the website of the ORM - we were lucky and were invited to visit during our time on La Palma. We had a guide which showed us around the GTC (Gran Telescopio Canarias). It was amazing to see such a huge telescope! The diameter of the mirror is 10.4 meters! Our telescope at home has only 8" diameter! If the weather is good you should have a good view from top of the island. Unfortunately there was a storm and clouds when we were on top so we could not enjoy this view. Hiking the Caldera de Taburiente: The caldera was once the crater of a huge volcano, now it is a great place for hiking. It reaches its highest point at more than 2400 meters. 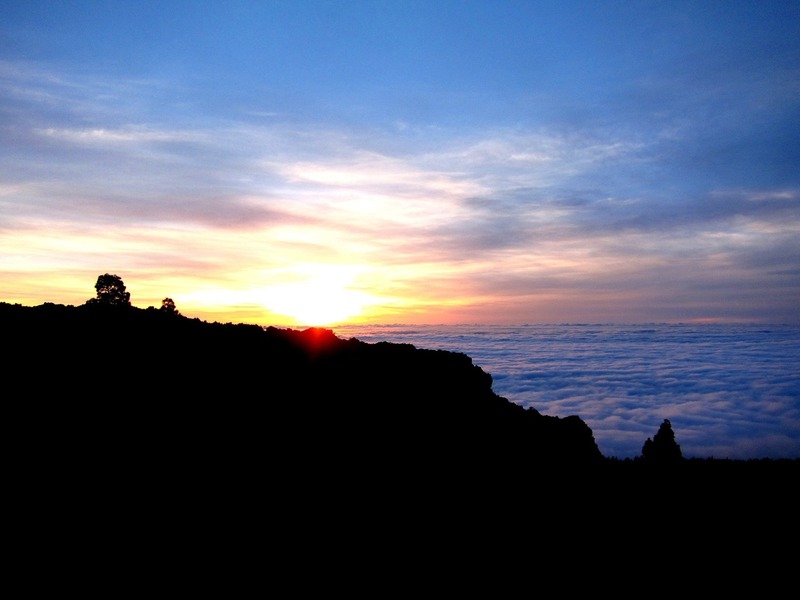 The crater has a diameter of 8 kilometres and can be surrounded completely via hiking paths. 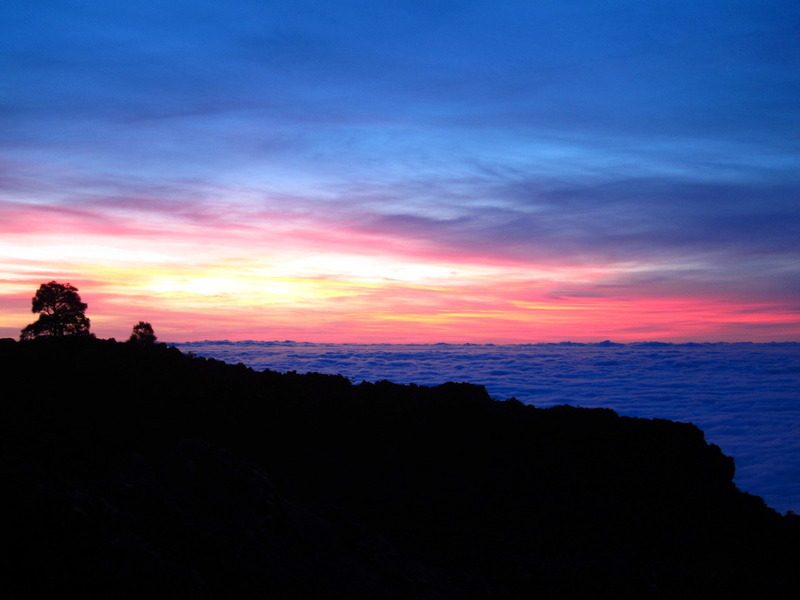 Be above the clouds and watch the milky way: La Palma has one of the clearest skies in the world. Until you have not seen it in reality you will not believe how many stars can appear on the sky at night! 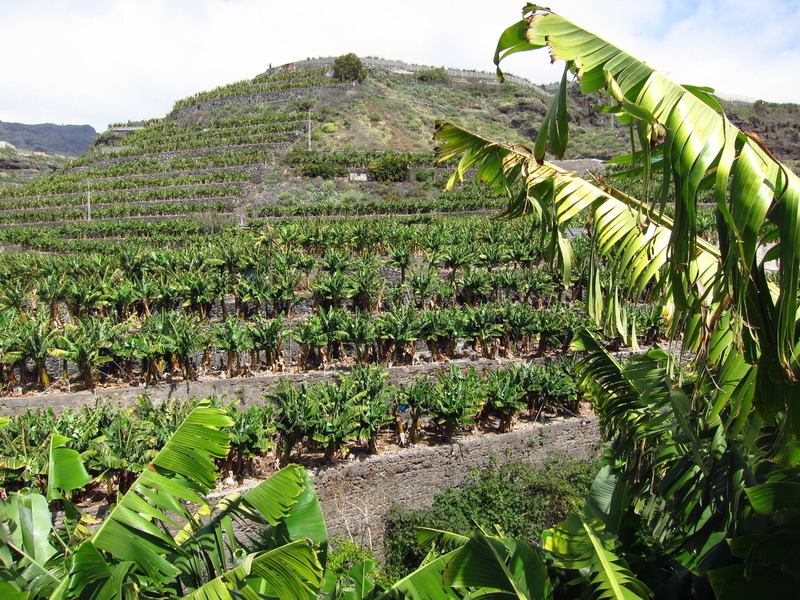 There are special viewpoints on the whole island with explanation about the starts (http://starsislandlapalma.com/page/senderos).